This complicated block has been simplified by using striped fabrics to create the card trick. 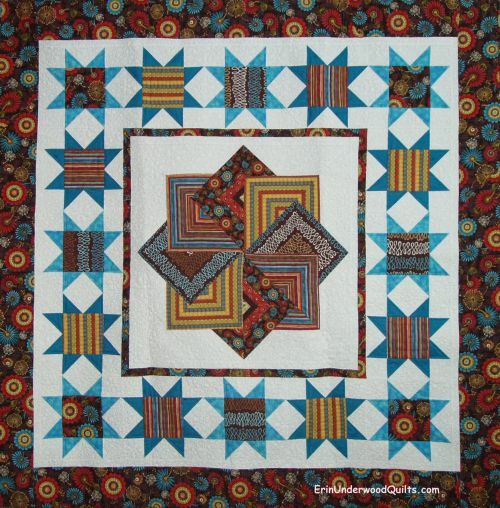 Traditionally, this quilt is constructed with an enormous amount of strip-piecing. This technique allows you to use striped fabric to create the same effect. Not only are you sewing fewer pieces together, but the consise instructions make it a breeze to cut the correct angles, sew bias edges and have your intersections actually come togther! Stripes are recommended but using a variety of other prints and textures would be absolutely outstanding too.